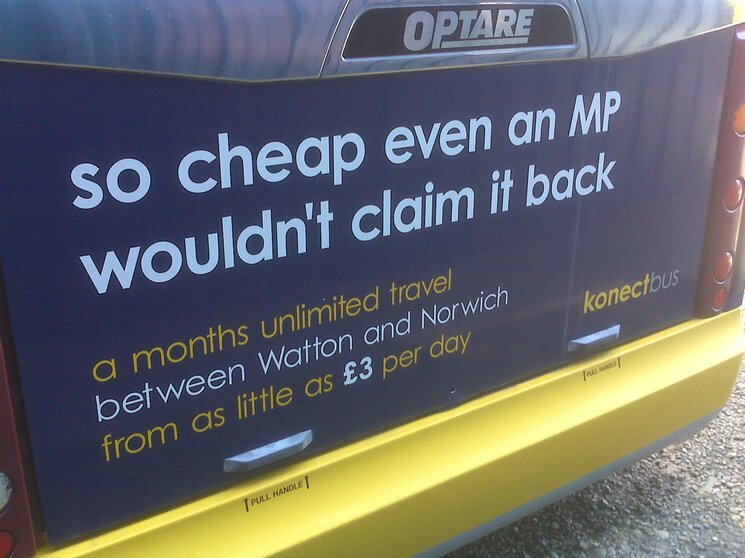 It’s unheard of in the History of ARRIVA The Shires for the business to spend so much money on new buses (Not that I’m complaining!)…. I have never seen so many new vehicles arrive at a garage in such a short space of time. 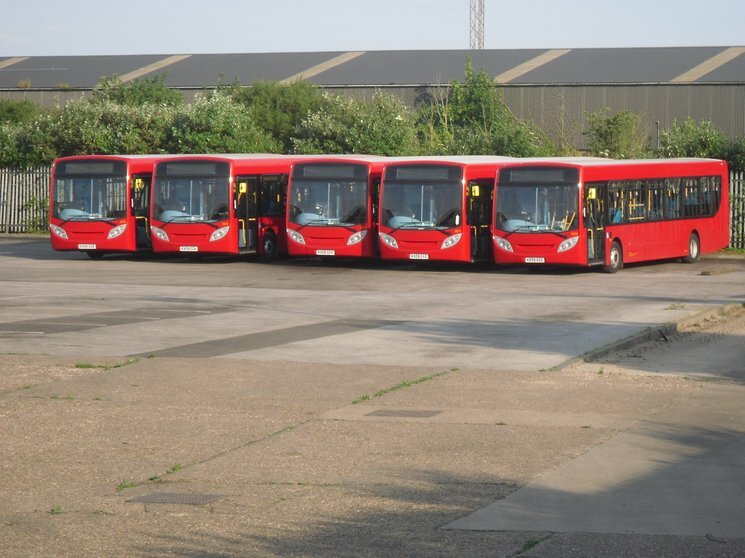 These first two pictures show the buses awaiting Delivery at the manufactures site in Harlow awaiting delivery, Kindly provided by Ian Rivett. and below the first five arriving at our depot. Looking for some more Bus Driver Blogs to add to me list on the left, Anyone help me out with some? 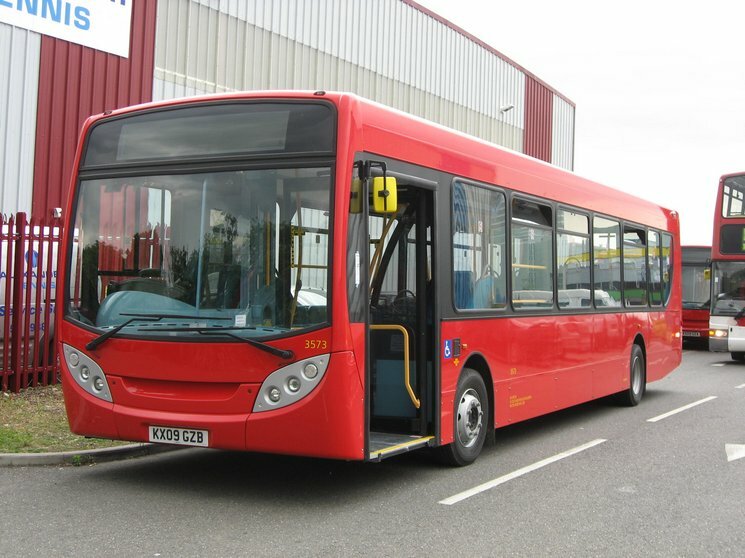 A couple more new buses for us at Metro, More Solo’s to add to the loads we have already, But these are different as they are “Slimline” versions…. They are slightly weird looking to me, compared to a normal Solo anyway! 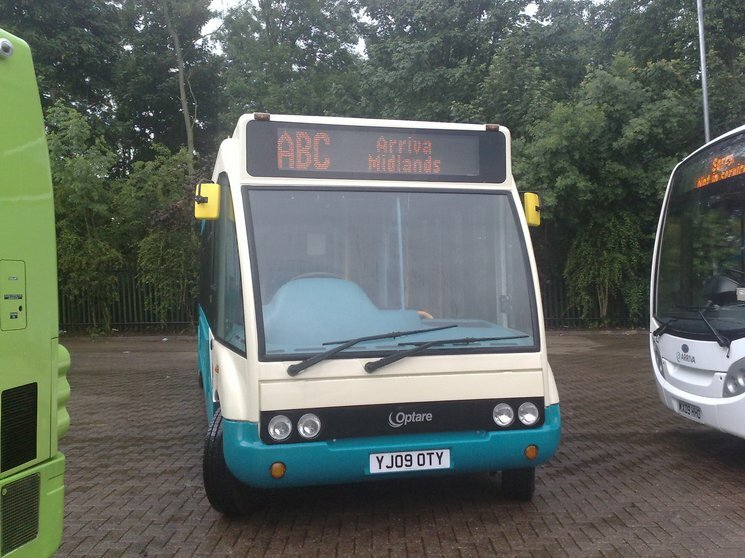 Today I received an email reply from MK Council with a proposed plan for the new Bus Turning lanes in the City Centre. 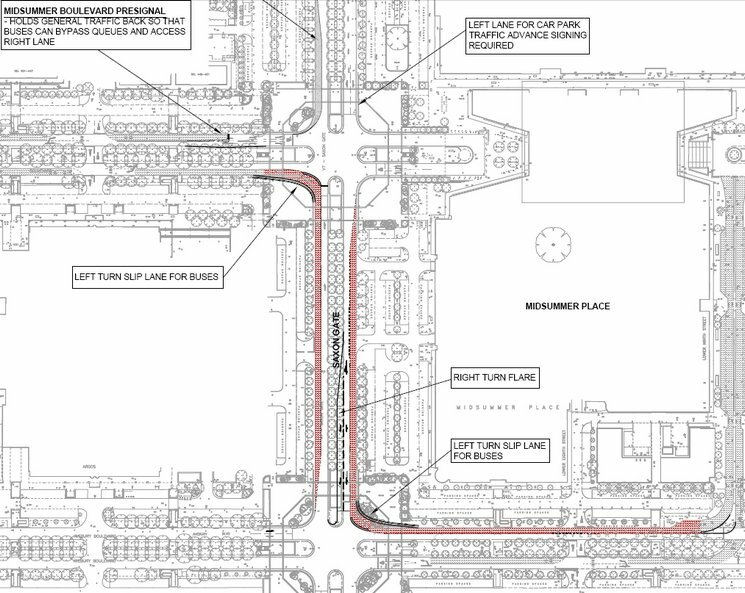 Looks like each turning lane is going to be “kerbed” off from other traffic on the actual turn, So normal traffic will turn left from the centre lane instead. This means on both corners the buses will not have to stop for the traffic lights, being able to just drive straight through. Should save a couple of minutes. 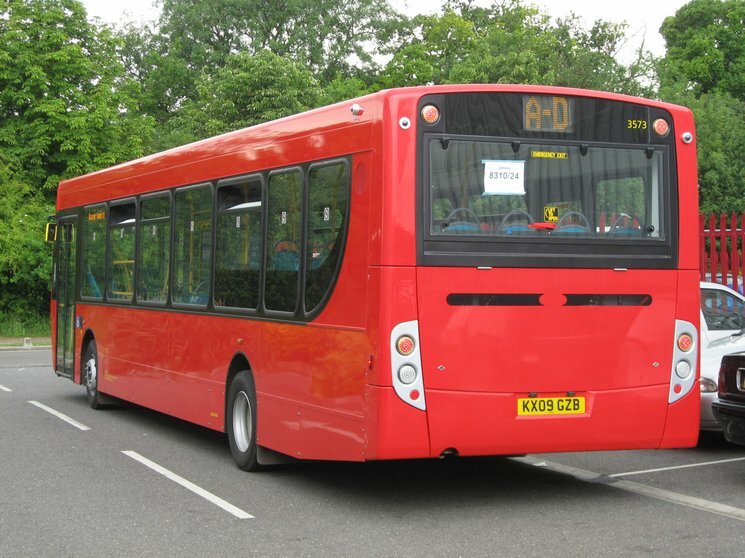 Buses coming from the Rail Station, that turn right from Midsummer Boulevard to Saxon Gate will get prioity over other traffic with a bus activated traffic light at the end of Midsummer Bus Lane, Letting the bus ahead of the queue for the “proper” traffic lights at the Junction. Apologies to everyone, I meant to blog this when I changed the system. From last Monday, all comments will now be held for moderation before appearing on the blog. In addition, any comment which does not come with a valid email address will not be approved (unless I know of a reason beforehand). Passwords for protected posts are only given to people that I know personally, and are offered out to people from time to time. They are never given out to people that email and request them.